The state owned transport organisation operates buses from Chennai to different parts of State. The bus scheduled for service is AC with push back seat, air suspension and TV. The television provides the passenger entertainment during journey. The seat provides passengers extra comfort for a long journey and air suspension provides the passenger a floating experience. 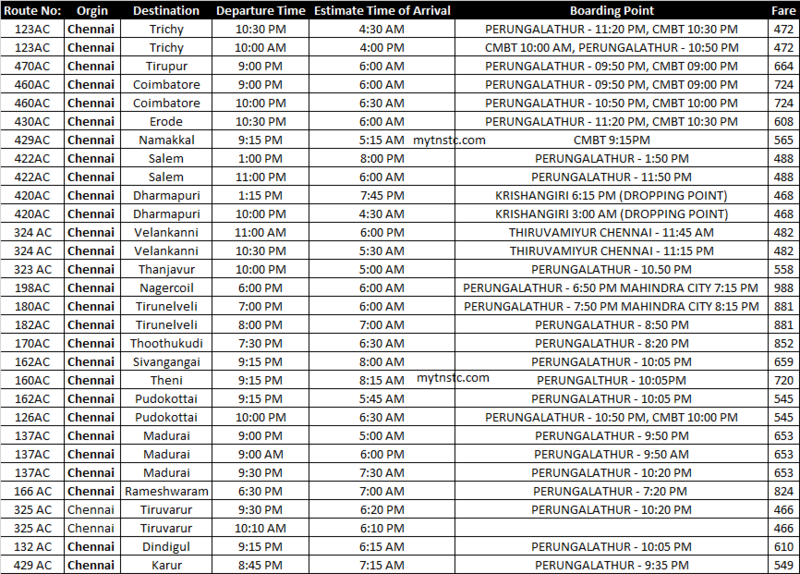 Please find below SETC AC Bus Timing. The passengers can book the ticket online by visiting www.tnstc.in for more information contact your nearest SETC Ticket Booking Counter. The timings mentioned above are subject to change, the destination time shared is approximate and may vary due to traffic etc.